Check out Aubree in American Dancer Magazine, and read about her trip to California to teach wheelchair dancing to veterans, her new documentary project, and the recent performance she did for the USA Dance Nationals! On the set of The Tomb! 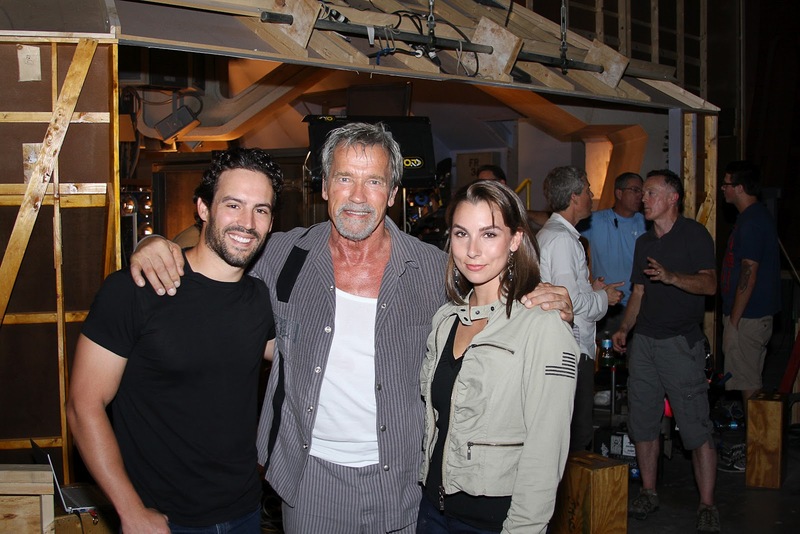 Aubree Marchione and Robert Nuzzie, from 2B Entertainment Studios, got an exclusive look behind the scenes of the next big action thriller, The Tomb, starring Arnold Schwarzenegger, Sylvester Stallone, and Jim Caviezel! The film is set to debut in 2013! Push Girls Flash Mob Dance in NYC! Aubree Marchione choreographed and danced in the Push Girls Flash Mob Dance that took place in New York City on May 31st! The dance featured American DanceWheels dancers, breakdancers from Dance Stylez Entertainment, and the stars of Push Girls, Auti Angel and Mia Schaikewitz. Push Girls will premiere on the Sundance Channel Monday June 4 at 10pm! Check it out!